HARWICH, Mass. 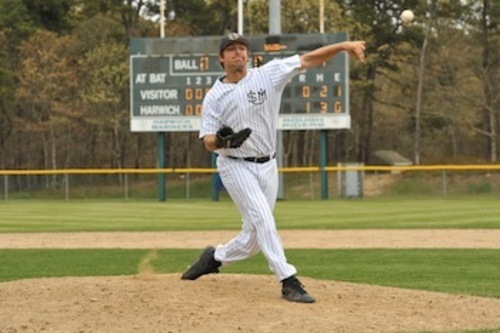 -- For the seventh time in the past 12 years, the NCAA Division III New England Regionals are being played at Whitehouse Field in Harwich, home of the Cape Cod Baseball League's Harwich Mariners and the Monomoy Sharks (a cooperative team made up of players from Harwich and Chatham high schools), coached by the league's Steve Wilson. Through Day Three, games have been mostly competitive and low scoring, with nationally ranked (No. 15) and second-seeded Wheaton already sent home packing with its second loss along with Salem State, Daniel Webster, MIT and St. Joe's. 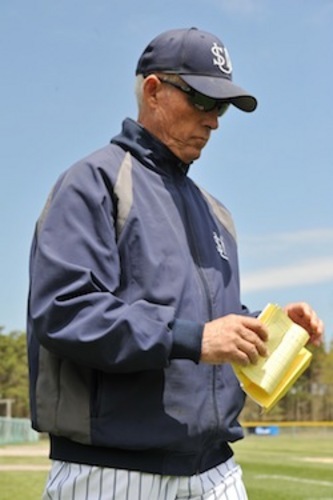 Teams left standing include unbeaten upstart Endicott, No. 1 seed and 16th nationally ranked Southern Maine and Western New England. 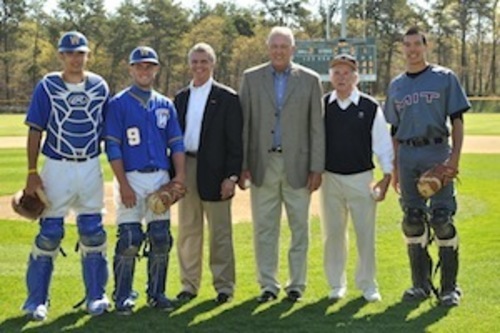 There are many Cape League sidebars to this regional, including the entire Wheaton assistant coaching staff ready to return to the CCBL sidelines this summer, and the many league and Mariners volunteers working the tournament, most notably Mary Henderson, Peg Rose, public address announcer Joe Malkin and Barbara "Mrs. E" Ellsworth of the Y-D Red Sox.